The Cloverfield Paradox is set in a near future Earth in which energy resources have dwindled to a point where human life will soon become unsustainable. Humanity’s solution was to create the Shepherd Particle Accelerator, which could theoretically create limitless energy. The Shepherd Particle Accelerator is “one thousand times more powerful than anything built on earth,” which is why they built it in space. What the film’s scientists are worried will happen, and does, a phenomenon known as the ‘Cloverfield Paradox,’ is defined by the film as “particles interacting with each other across two dimensions. Two distinct realities in a multiverse, fighting to occupy the same space, creating chaos.” Not only does that happen to the poor crew in Paradox, but they are also transported to another dimension as well. As soon as the crew turns on the Shepherd Particle Accelerator they know something is terribly wrong, and that’s the least of their worries. Weird, crazy stuff begins to happen aboard The Cloverfield Station and that’s when the film is at its best. You see, ‘The Cloverfield Paradox’ acts as an all-purpose plot insulation, like The Force in the Star Wars prequels [Croshaw]. It gives the filmmakers license to do all sorts of strange things and then blame it on the Paradox, which, clearly, I was more comfortable accepting than many of my fellow critics. The film then plays out like a horror thriller, in which much of the crew is killed off in surprising, silly, or strange ways (except the Captain, whose death is really stupid). It also allows the film to have illogical plot twists that likewise point to the Paradox. Surely this doesn’t make for a coherent narrative, but the film is at its best when it’s a tense thriller, picking off the crew members one by one as they struggle to get home. Speaking of the crew, the cast is pretty solid, with Gugu Mbatha-Raw, Daniel Brühl, and Chris O'Dowd all doing fantastic jobs in spite of the poor script. 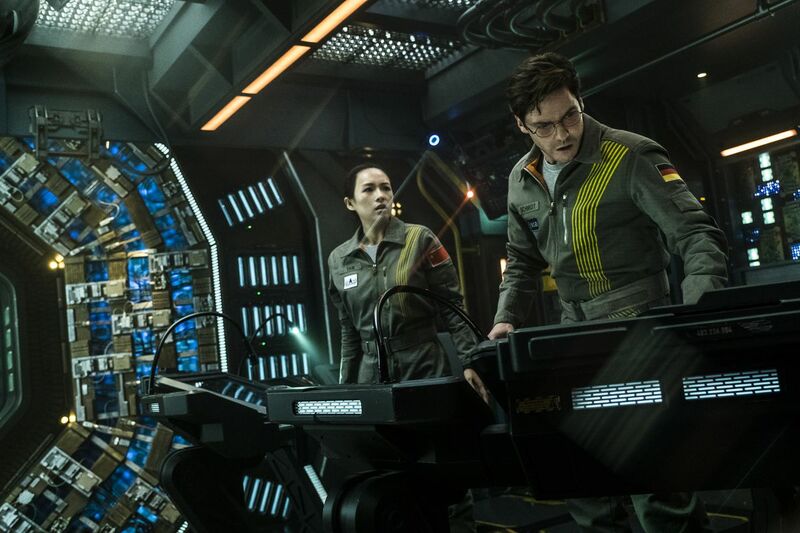 The Cloverfield Paradox is, at its core, a B-grade science fiction schlock-fest. Its story and direction are as chaotic and messy as the soft-science Paradox it showcases. The characters, save Gugu Mbatha-Raw’s Ava Hamilton, as well as Chris O’Dowd’s Mundy serving as the comic relief, are poorly defined. Much of the events that happen in the film garner a “What?” or a “Huh?” if you think about them even slightly. As much as I like the film and overlook its use of the Paradox as a crutch, this sentiment doesn’t justify the fact the movie is poorly written with several plot elements and threads left dangling in the air, unexplained. The direction is shoddy and the editing (especially during the action spacewalk sequence) is choppy and disjointed. The ‘Cloverfield Universe’ elements all stick out like a sore thumb in this latest iteration to the series, but reality manipulation, as I mentioned, can be used to explain away anything, no matter how forced or awkwardly tacked on the event may seem. The ‘Earth subplot’ is the worst thing about the movie, and that is saying something. The subplot revolves around Ava’s husband on Earth trying to avoid mostly unseen chaos and rescuing a little girl. This subplot is completely unnecessary, goes nowhere, and adds nothing to the story that couldn’t have been said in a radio transmission or seen on a television. It could have been completely cut from the film, and no one would have been the wiser. Plus, this abbreviation would have made the film’s pacing that much better. I’m going to level with you here. The Cloverfield Paradox is a dumb, muddled mess, but it's still enjoyable. The film isn’t good by any stretch of the imagination. The characters are lackluster, the story and science elements make little to no sense, and the direction and editing are often poor. The ‘Cloverfield Universe’ elements feel unnaturally bolted on, and the Earth subplot is utterly useless. And yet, I still enjoyed the movie, the cast was great, I had no idea how the film would end, I enjoyed the nonsensical plot twists, and I was thrilled during the unexpected death sequences and strange moments that happened throughout the film. I can understand why you would hate this movie, but I thought it was fun B-grade science fiction schlock. If you can accept it as that, I think you’ll enjoy it. 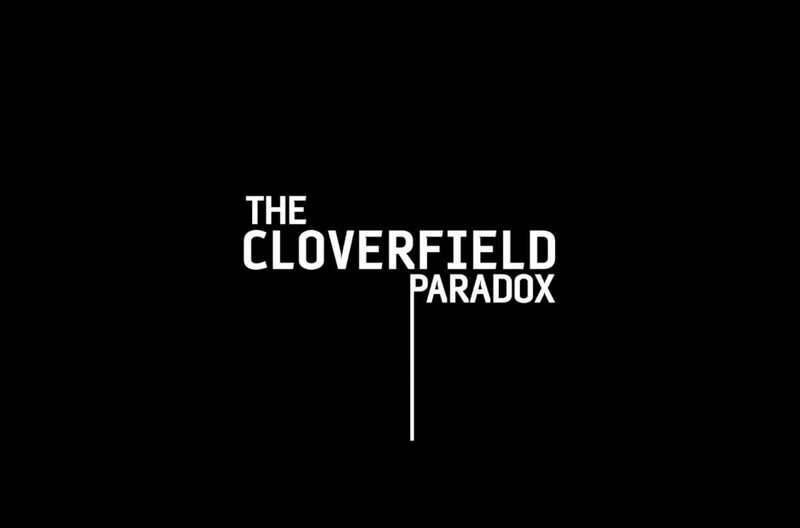 As of February 4, 2018, The Cloverfield Paradox is available on Netflix streaming. Croshaw, Ben "Yahtzee". “Zero Punctuation : BioShock 2.” The Escapist, Defy Media, LLC, 3 Mar. 2010, www.escapistmagazine.com/videos/view/zero-punctuation/1494-BioShock-2.